One call does it all. Once your parts are ready for transport, we do the rest. Your parts are transported to SCRAP. When a DPF, DOC or Catalyst reaches the end of its useful life cycle, it is important to recycle it properly. 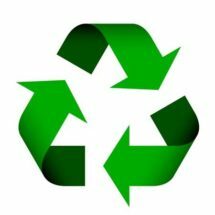 When these parts are recycled properly, it helps the environment in two major ways. A Diesel Particulate Filter or “DPF” traps particulate matter that is harmful to humans. When a DPF is recycled properly, the harmful diesel particulate matter is not released into the environment in a way that has a negative impact on air quality. The insides of Diesel Particulate Filters and Diesel Oxidation Catalyst are manufactured with a wash coat that contains PGM’s. (Platinum Grade Metals) It take about 5 – 10 metric tons of raw ore to produce just 1 oz. of these metals. When you choose to recycle your DPF’s & DOC’s properly, it reduces the erosion that is caused by the mining of PGM ore.